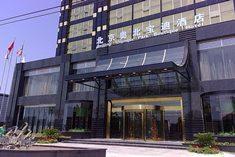 Olympic Park Boutique Hotel Beijing, Hotel People's Republic of China. Limited Time Offer! 73 minutes byRead more car distance from the center, this hotel is located at , in the north-west section of Beijing, which is ideal to discover the city. The Olympic Park Boutique Hotel is a four star Boutique establishment has all the comforts such as : Restaurant, Room Service, Bar, Non Smoking Rooms, Laundry, AirCon.Take advantage of the sauna which is available at the hotel.The Beijing Capital airport is about 76 minutes by car from the hotel (23 miles ).This hotel offers high speed internet.